Education policymakers must put more focus on teaching and learning in the early years and continue that work up through third grade, according to Beyond “Subprime Learning”: Accelerating Progress in Early Education, a new report from New America’s Early Education Initiative. “All policies should stem from the overarching goal of improving the interactions between teachers and children, which research identifies as critically important to children's future success in school and in life,” says Laura Bornfreund, deputy director of New America’s Early Education Initiative and lead author of the report. 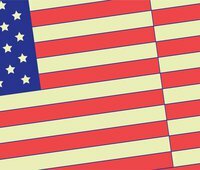 New America points to two approaches that will spur the most impact towards that goal: streamlining programs, standards, and eligibility requirements and tapping into sources for predictable, sustainable, and increased public funding. “Without taking these actions -- streamlining today’s public programs and pushing for predictable, sustainable funding -- we are never going to be able to accelerate access to quality education, birth through third grade,” said Lisa Guernsey, director of New America’s Early Education Initiative and co-author of the report. The report urges upgrades to federal laws and outlines many new paths for state leaders who aim to build more robust PreK-12 systems throughout their states. 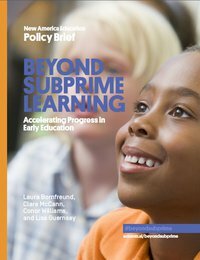 The report is a followup to Subprime Learning: Early Education in America since the Great Recession released in January, which found that from 2009-2013 states primarily focused on building infrastructure, such as rating systems that aim to help parents sort through different early childhood programs. But access to high-quality early education opportunities for every child who needs them -- especially for every child in low-income working families -- remains elusive. Enact policies for teacher preparation, professional learning, accountability, and teacher evaluation systems that put a premium on the quality of interactions between adults and children and the learning that results. Too often, policies emphasize credentials and seniority, for example, without examining how well teachers teach. Yet children’s advancements academically and socially are most significantly associated with having teachers who interact with them at a high level. Revamp state teaching licenses to make sure that all PreK - 3rd grade teachers have the knowledge and skills they need in order to teach young children successfully and make sure principals know how to identify effective teaching in the K-3 classrooms. States should eliminate their omnibus (K-5 or K-6) teaching licenses and replace them with at least two different licenses, one beginning with birth or Pre-K and ending at third grade, and another starting at 3rd or 4th and extending through the middle grades. This would help to ensure that early grade classrooms are staffed with teachers who have a more specialized degrees. Re-envision Head Start for 3- and 4-year-olds. Create Head Start 2.0 by streamlining Head Start standards, experimenting with Head Start grants to states that meet criteria for quality and access using a Race to the Top -- Early Learning Challenge model, and making stronger linkages between Head Start and programs housed in the U.S. Department of Education serving similar children. Borrow the Pell Grant model which helps students from low-income families afford college. Apply that model in the child care realm to increase access for low-income families and ensure child care is of high-quality. There are no waiting lists for Pell Grants; students from low-income families gain access to the grants based on a sliding scale. If the Child Care and Development Fund functioned this way, as an entitlement program for all eligible families, more low- and middle-income families would receive subsidies. Lawmakers have gone to extreme lengths to find the dollars they need to help send students from low-income families to college. Parents with young children deserve the same. The report, available online, was written by Laura Bornfreund, Clare McCann, Conor Williams, and Lisa Guernsey of the Early Education Initiative in New America’s Education Policy Program. It was made possible by a grant from the Alliance for Early Success. The authors are available for interviews and background briefings, and at 3:00 pm today, Laura Bornfreund and Lisa Guernsey will hold a Twitter Chat to discuss our ideas, using the hashtag #beyondsubprime.